This was my first Memphis style bbq experience in Memphis and I was not impressed. The pork ribs were SO dry! The pulled shoulder was less dry, but still on the dry side. I had to douse them with plenty of bbq sauce to make them more palatable. The service was also kinda rude and inattentive. Not a great start for my trip! 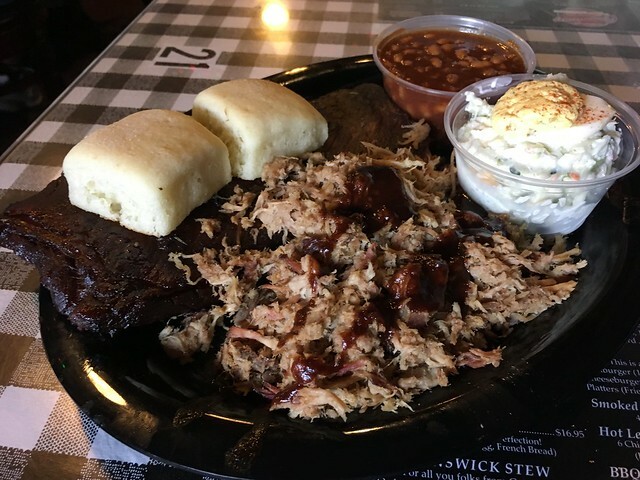 This entry was posted in Germantown Commissary and tagged bbq, coleslaw, deviledeggs, food, memphisstyle, porkribs, porkshoulder, ribs by vicentesf. Bookmark the permalink.